Utilising the latest CMOS technology and surface mount design, the ML52 and ML53 range of controllers feature enhanced voltage operation and lower power consumption together with the ability to drive all the contactor coils in the ranges between 12 to 60 Volts and 48 to 96 Volts. 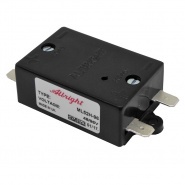 These simple modules are an option to allow the operation of Albright’s range of bidirectional single pole magnetic latching contactors from a standard DC supply. 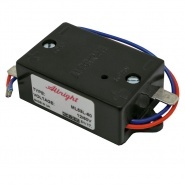 The Albright ML52L-60 12-60V magnetic latching contactor or solenoid controller. The ML52 unit is a sequential four terminal device. 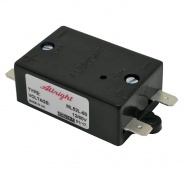 The Albright ML52H-96 48-96V magnetic latching contactor or solenoid controller. The ML52 unit is a sequential four terminal device. 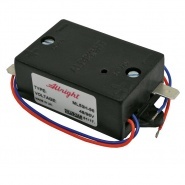 The Albright ML53L-60 12-60V magnetic latching contactor or solenoid controller. The ML53 unit is a non-sequential five terminal device. The Albright ML53H-96 48-96V magnetic latching contactor or solenoid controller. The ML53 unit is a non-sequential five terminal device.